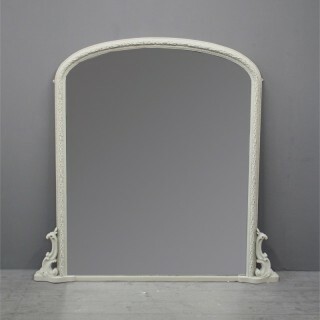 Circa 1860, mid Victorian grey painted pine and gesso overmantel mirror, recently restored with Farrow and Ball paint. With an arched top and beaded rim, the moulded frame has laurel foliate decorations. 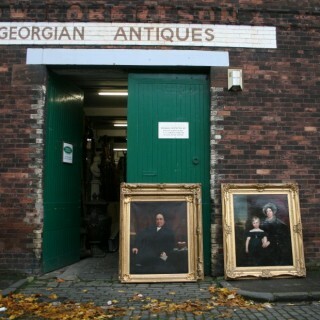 The original mirror plate is in excellent condition. Size 167 cm high x 162 cm wide x 15 cm deep.